Desiderata is Latin for Desired Things. Desiderata’s Body Scrub is a result of countless hours of research and testing, providing you with the most desired natural, yet luxurious body scrub. 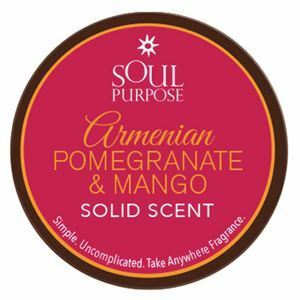 It’s pleasantly scented with tropical coconut and warm vanilla aromas and will give your skin a natural buff that will help it glow. Made with 98% natural ingredients and safe to use on most skin. Sulfate-free, paraben-free & phthalates-free. Water, Sodium Cocoyl Isethionate, Cocamidopropyl Betaine, Sodium Lauroamphoacetate, Sodium Methyl Cocoyl Taurate, Lauryl Glucoside, Sodium Cocoyl Glutamate, Acrylates Copolymer, Cocamide Mea, Polyquaternium 007, Coco-Glucoside, Glyceryl Oleate, Caprylhydroxamic Acid, Caprylyl Glycol, Glycerin, Sodium PCA, Polysorbate, D-Panthenol, Walnut shell grit, Bamboo.